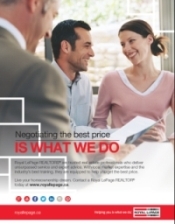 Royal LePage has launched a campaign that leverages the company’s tagline, “Helping you is what we do™”. From brand awareness advertisements to feature sheets, there are a variety of great templates for you to choose from. Below is a listing of available marketing pieces. Make sure to keep checking back to access new pieces that will be added throughout the year. To help you generate awareness and pride of being a part Royal LePage, several brand ads have been created. Looking for more? Visit our Ads, Banners and Posters page to see a complete list. Show your Royal LePage pride on your social media channels! Available platform covers: Facebook, Twitter and Google+. Can’t find what you are looking for? Visit our Social Media Covers page for more seasonal and holiday options. To help build video content for your business websites and social media channels, a series of short video vignettes is being created to help you engage with your consumer. The videos help illustrate your commitment to your clients. As the strongest and most trusted brand in Canadian real estate, these videos exemplifies Royal LePage’s brand values that are best expressed in our company tagline: Helping you is what we do™. Are you creating a video? Add the new “IS WHAT WE DO” video intro and outro to add that professional touch and bookend your video. Looking for a more personal touch?